I remember my Gram telling (little) me that stinging nettle was good to eat. I found it preposterous at the time that this irritating weed could be edible, much less a delicious wild green. After all, in my experience, this plant was the source of many a painful rash! I was no stranger to the idea of eating weeds as a kid. I munched on dandelions, plantain, cattail shoots and roots, cowslips (marsh marigold), mushrooms from the horse pasture, and wild fruits and berries. But the idea of eating stinging nettle was maybe just a bit far fetched for me to wrap my adolescent brain around. 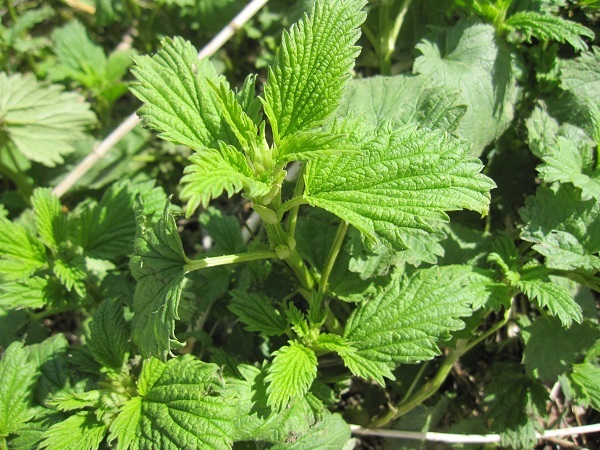 Stinging nettle is best picked in early spring. Fast forward to this spring and you’ll find (big) me out in the weeds with my gloves on, harvesting stinging nettle to cook up with eggs or pasta, dehydrate for tea, or blanch and freeze for the winter. I’ve returned to my roots with a more open mindset about trying wild edibles that might seem a bit odd or out of the ordinary. Can see the nettles? You’ll definitely feel them! Stinging nettle has an erect, squarish stem and serrated, simple, pointed, ovate leaves that are arranged in opposite pairs. The stem and underside of leaves are covered in small hairs that deliver a sting loaded with formic acid that can irritate skin for several hours or up to 2 or 3 days. 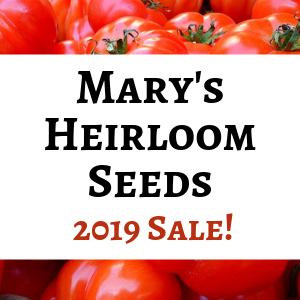 The plants begin growing early in spring and may have a purplish tint to their leaves in cold weather, changing to a deep green as temperatures warm. The stalks become very fibrous and may be used for creating cordage as plants mature. In late summer their stalks can grow taller than me. Stinging nettle is also used as a natural dye at any time during the growing season, and can be used to make cheese. Yep, cheese! For more help with identification, check out this website. Note: Any time you are foraging for wild edibles, be sure to consult a reliable guide for proper identification. Collecting and eating wild plants carries a certain amount of risk and I cannot be held responsible if you don’t practice due diligence in identifying plants before eating them. 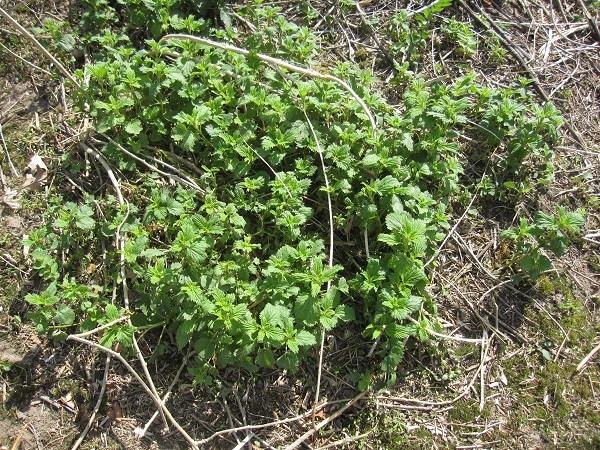 Here is one small patch of Stinging Nettle in the grove where I collecte. 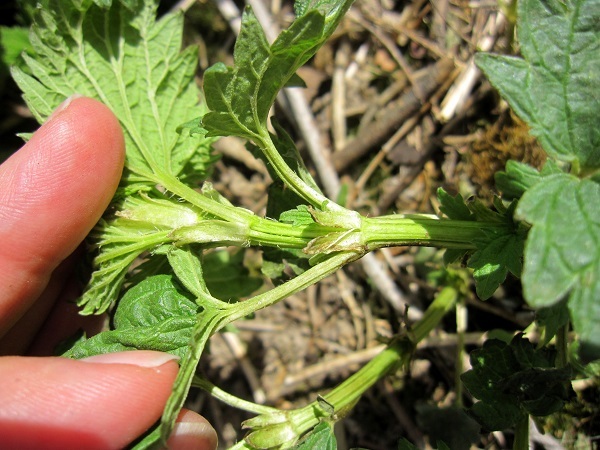 Stinging nettles are at their best in spring, before they reach 12″ tall. But you can harvest the topmost leaves into the summer. Wear gloves to protect your hands from the stinging hairs or you will likely regret it! Clip or pinch off several sets of leaves from the top of the plant. The stalks and older leaves are fibrous and don’t cook up as tender. 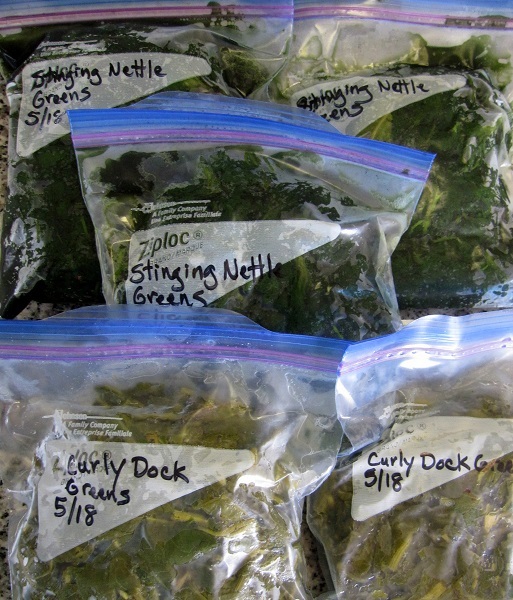 Stinging Nettle – blanched and cooling in the refrigerator. Wash leaves as soon after harvest as you can manage. You’ll probably want to wear kitchen gloves or use tongs to handle. Drain and refrigerate or use immediately. Use stinging nettle as a substitute for spinach in any recipe where the greens are cooked. You may use it in omelettes, soups and stews, cooked greens with a drizzle of apple cider vinegar, or mixed into pasta dishes. Make an herbal tea by steeping leaves in hot, but not quite boiling, water until it is green. Add a bit of lemon and honey, if desired. Use approximately 1 cup of leaves to 2 cups water. Blanch for 1 minute in boiling water, chill, pack tightly into freezer bags and store in freezer for winter. Dry clean leaves in a single layer in food dehydrator until crispy, or hang in small bunches in a dry, room temperature spot until leaves are fully dehydrated. Store in an airtight container in a dark place. Quart size freezer bags of stinging nettle and curly dock. I’ll freeze these greens and use them in winter. You can be an urbanite and still take a walk on the wild side by hunting down edible wild foods! 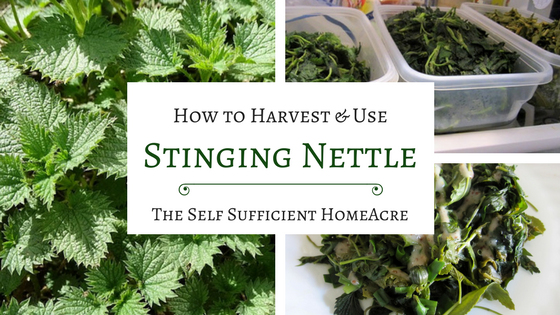 Do you eat stinging nettles? What is your favorite way to use them? Leave a comment! This site is a participant in the Azure Standard Affiliate Program, an affiliate advertising program designed to provide a means for me to earn store credit by linking to Azure Standard. This site is a participant in the Rakuten Affiliate Program, and affiliate advertising program designed to provide a means for me to earn a commission by linking to several online stores. You will not pay any extra for your products and I’ll earn a referral fee to help support this blog. I collect and use Nettle for house hold use, dried I use it as a herb as well for drinking tea’s. I use it as a booster in my milking goat or sheep’s feed when in milk. I really enjoy the taste of nettle as a fresh spring green. in many dishes. I enjoy eating it as a green too. I tried the tea and wasn’t a huge fan, but with some honey and lemon it was pretty good. I have read that milk thistle is good for milk production, but I hadn’t read that about stinging nettle. Good to know! Thanks for sharing!